As Washington state licensed general contractors focused on improving value, Urban Maintenance, Inc. provides all aspects of interior/exterior maintenance and upgrades on residences, urban condominiums and commercial spaces. Urban Maintenance Inc. was founded by Deana Magera and Michael Herkert. We have over 30 years of combined experience in the construction industry. Our goal is to perform quality design, remodel and maintenance services. We are committed to improving the value of your property through innovation, foresight, integrity, and unmatched performance. All members of our team have been specifically trained to commence the tasks they face. UMI employees have pledged their commitment to safety, quality and professionalism thorough your project! C & S Renovations LLC is your full home remodeling specialist. Sometimes a simple renovation will turn the home you enjoy into the dream home you absolutely love! Whether you need help with part of your project or your entire project, we can help. We offer full home renovating services. Our reputation for quality work, responsiveness, and competitive pricing has been the primary factor in our success. We would love to meet with you for an in-home consultation to see how we can help you complete your projects. Give us a call today! Shearer Painting was started in Seattle in 1990 when I was an undergraduate at the University of Washington. For over twenty years Shearer Painting has focused on fine tuning a team approach to cost effectively install the highest standard of paint, stain, and special coatings for home owners, design professionals, and builders. We hold an honored position as one of Seattle's top painting contractors and as a desirable place to work for career minded painters, carpenters, and project managers. As a company Shearer is committed to constantly improving the skill level of our staff and maintain a regular company wide training and feedback program. The best way to find about Shearer is ask our customers and paint suppliers how we are different than our competitors. Shearer also accepts a limited number of projects in Los Angeles by referral. General, or construction contractors, are often known as project managers. They oversee the entire remodeling or new home construction project and facilitate all day-to-day tasks that move it toward completion. A Burien general building contractor will work with your architect to review plan as you build a house and ensure everything is in place before work is started as well as arrange for permits and necessary inspections. 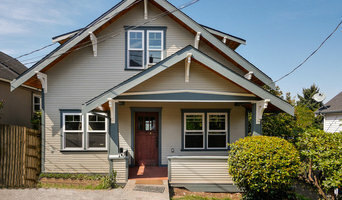 While good local home improvement contractors in Burien will have the skills to handle certain tasks onsite, such as carpentry, he or she is also responsible for hiring subcontractors for the majority of jobs, such as electrical work, painting or plumbing. In addition, the general contractor should be on-site regularly to inspect the progress and resolve issues. Here are some related professionals and vendors to complement the work of general contractors: Architects & Building Designers, Interior Designers & Decorators, Landscape Architects & Landscape Designers, Kitchen & Bath Designers, Specialty Contractors. Home remodeling contractors are a must for successful completion of a renovation. 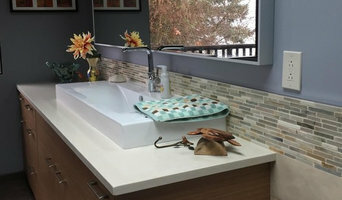 Because of this, it's essential that you do your homework before deciding on the right general contractor in Burien as you remodel or build a house. Inspect bids carefully. Was it ready when the contractor promised it? Was the bid for building a home unusually high or low? Each of these things can be very telling: A late bid may reflect timing standards, and an off-the-mark bid could be code for a pricey premium or a deliberate underbid to score the remodeling job. 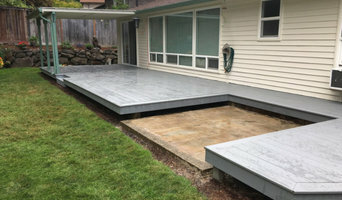 You should call references, carefully read reviews and visit completed projects in Burien, WA to see if they’re what you expect for your job. Once you do secure your local Burien contractors, read the contract very carefully to be sure everyone is on the same page. 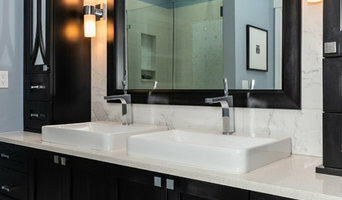 Find a Burien contractor on Houzz. Narrow your search in the Professionals section of the website to Burien, WA home contractors. You can also search for photos in Burien, WA and contact the Burien general contractor who worked on the project.